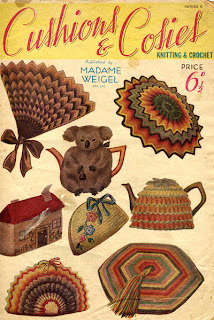 A tea cosy (or as Americans would say tea cozy) is a cover for a teapot, usually made of cloth or wool. It is used to insulate the tea, keeping it warm while it brews. Tea cosies have become popular in the world of fiction with the 1997 book The Haunted Tea-Cosy: A Dispirited and Distasteful Diversion for Christmas by Edward Gorey.